Adam Kenney serves as Vice President of Operations for Peabody Properties. In this capacity, Adam serves as a member of PPI’s Leadership Team, providing oversight and guidance in all disciplines of management to assigned regional, senior and multi-site managers involved in the operation of a diverse portfolio of properties located throughout Massachusetts and Rhode Island. Adam’s own family legacy of civic responsibility forged his deep personal commitment to making a measurable difference in the lives of others. This passion, together with his proven proficiency in business management, inspired him to choose housing management as his career path. In December of 2004, Adam joined Peabody Properties, Inc. His first assignment was as Property Manager for The Metropolitan, a 23-story, mixed income, mixed use, high-rise community in Chinatown, Boston. Adam soon demonstrated an acute understanding of complex property management configuration and an extraordinary level of attention to detail. He was also known for his caring attitude and hands-on approach to providing high quality service to residents, commercial tenants and the community at large. Advancing to Senior Manager, Adam Kenney continued his success, managing a portfolio of mixed-income and condominium communities located throughout the city of Boston. Among his notable achievements were the strong relationships of trust he developed with client investors. As Regional Manager, Adam was assigned a portfolio of over 1,300 units and was responsible for directing more than 30 employees. He consistently exceeded value-added benchmarks in occupancy and cash flow on behalf of his investor clients. 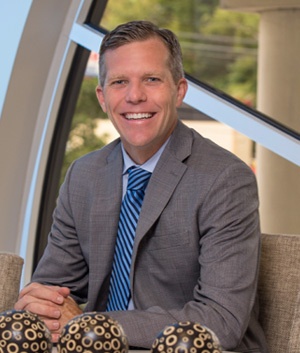 During this period Adam also developed a specialization in the management of condominium associations, and gained the respect of Boards of Directors throughout the portfolio. In his current role as Vice President of Operations, Adam is now responsible for over 3,000 units of residential and condominium homes. He works closely with senior managers and multi-site managers, enabling them to develop a greater sense of empowerment, accountability and quality assurance for the assets in their portfolios. Adam Kenney is an active member of CAI (Community Association Institute). He is a graduate of Providence College, with an MBA degree from Suffolk University, Sawyer School of Management.